I'm going to have to say this.. right off the bat... Ultra's new Aluminus case is simply fantastic. It was almost unfortunate that I received it at the same time Ultra provided me with the new X-Finity power supply with FlexForce cables. This is because Ultra has decided to point their focus on the task of making it easier for their users to hide cables. And although the FlexForce cables of the X-Finity power supply make hiding cables simple regardless of what case you use, the new Aluminus case makes hiding power leads easy regardless of what power supply you use. 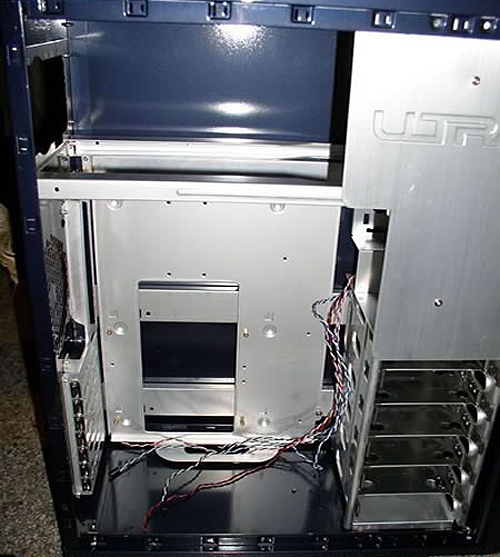 Ultra accomplishes this by making their chassis almost completely modular and installing a vanity cover plate over the drive bays where power and data cables may normally be in plain sight. 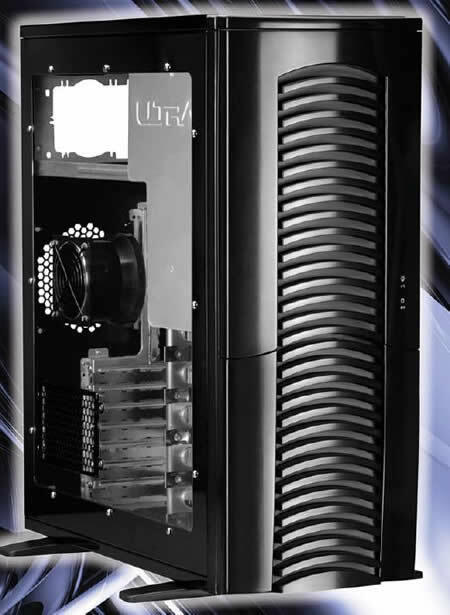 Ultra starts off with your standard "Dragon-looking" aluminum case, make sure the motherboard tray is removable, add sideways mounted removable hard drive trays that can be installed from either side of the case.